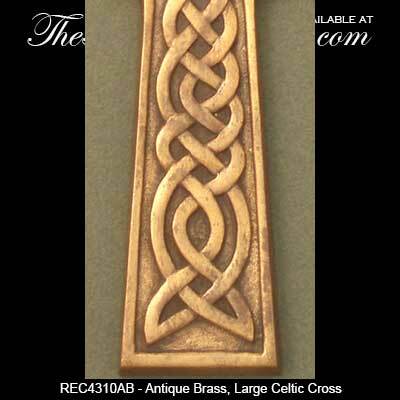 This large Celtic wall cross features solid brass construction with an antiqued finish an is enhanced with a knot-work motif that includes the Trinity. 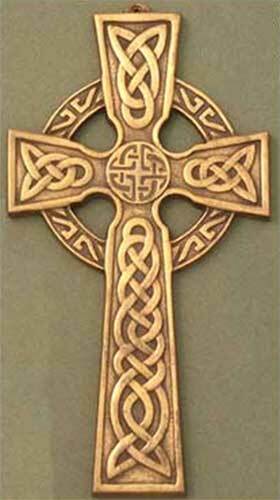 The Celtic cross measures 5 1/2“ wide x 10 1/2” tall and weighs a hefty 22 ounces. 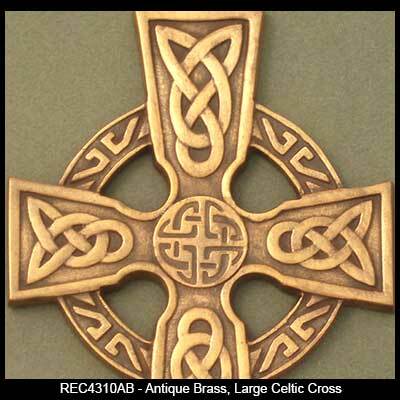 This Irish cross is ready to hang on the wall and is gift boxed with Celtic knot and Celtic cross history cards, complements of The Irish Gift House.